EU Beam Reports - First Station Online! got my DC 3.03 today and after some trouble i was able to get a lock at SES-4 on 22W! 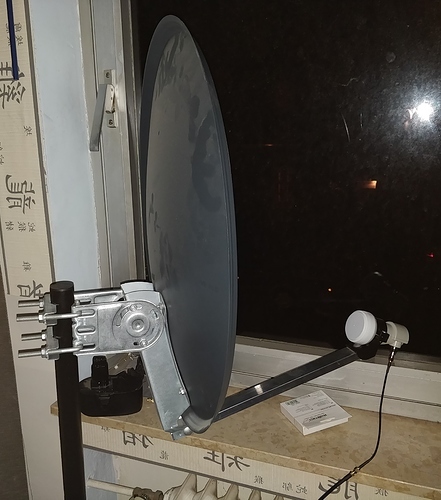 I currently use a 60cm Dish with the Maverick PLL LNB that is pointed trough my Window. I will adjust some things to try and get a even better SNR, but it is now a solid Lock. Location is near Cologne, Germany in a residential Area, so there is quite a lot of noise in the Air. Just adjusted the pointing of the Dish now and i have a SNR of around +1.75! And that through a double glass window and near a lot of PCs and so on. 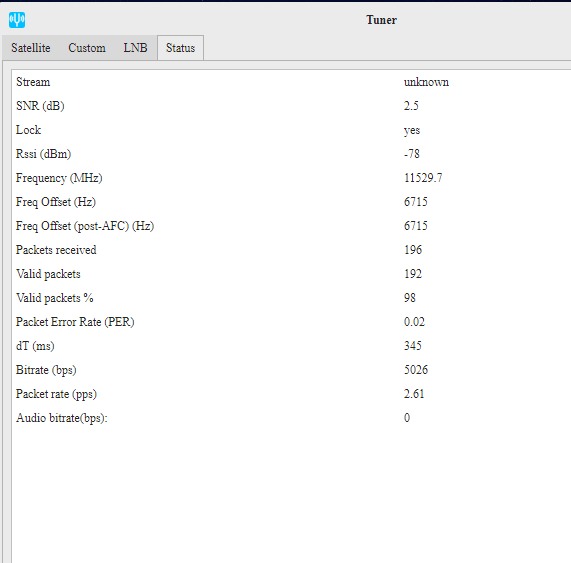 bitrate on the EU beam is lower right now - this beam is half the bandwidth compared to the US beam, and lower power as well. We are working on adjustments which increase speed, but for right now - the stats reported by @Tysonpower are as expected. @Tysonpower : it might be time to try without the dish. So i now turned the LNB around so it is not using the Dish. Same Place as before, but know in the sun that could make the signal a bit weaker due to the temperature on the LNB i think. 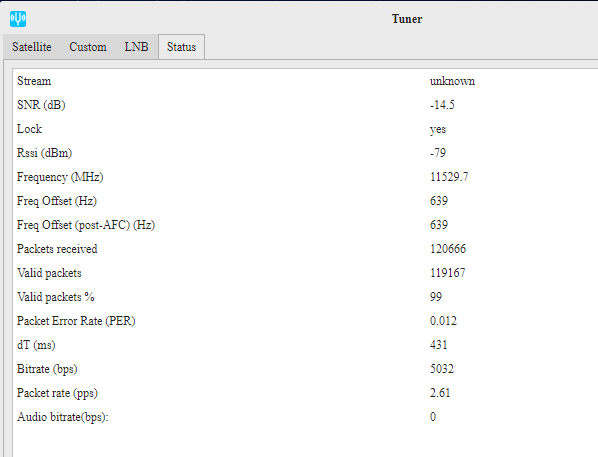 Still, i got a stable lock at around -14.5db SNR. How did you get DC 3.3? I want it. Othernet shop doesn’t like my polish address. @Tysonpower Do you have an specs on the dish? I am guessing antenna gain is about 36 dBi. The MK1 LNB has been chamber tested at 13 dBi, which takes away at least 23 dB from the link budget. 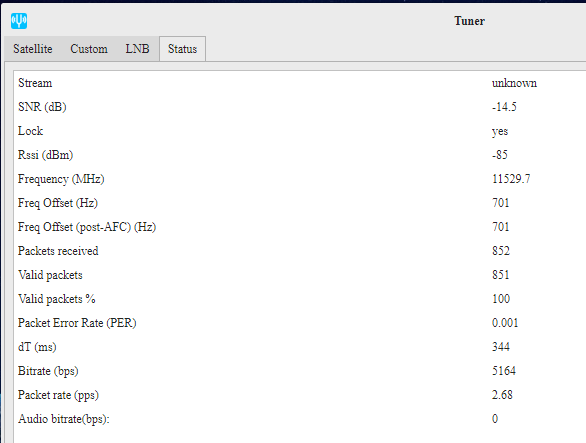 But funny enough, you are only seeing a difference of 16 dB of SNR loss. By how much did you adjust skew on the dish? The skew was at the correct +21° but skew seems to be a bit off without the Dish. 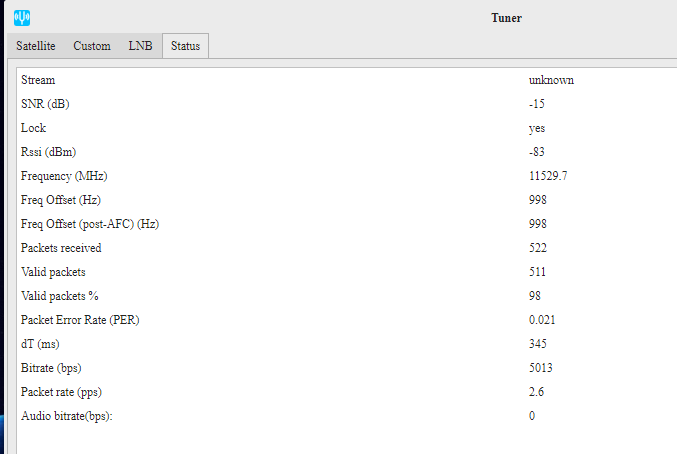 My Signal also got worse a bit (around -16.5), currently playing with the skew a bit. 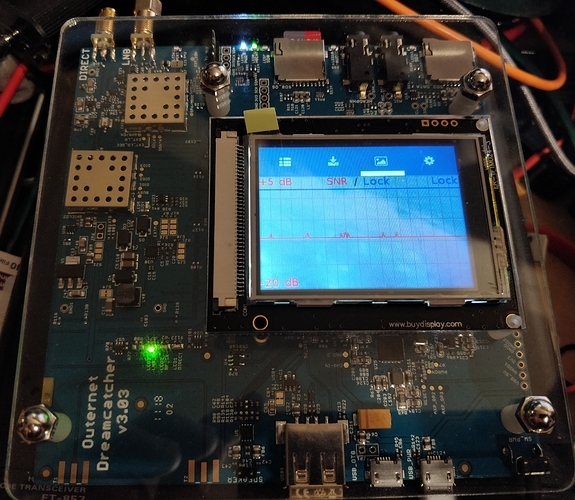 I did some Testing with some other LNBs i had laying around and it seems that, especially with a Dish, you can use almost any PLL LNB. I used the well known Octagon OSLO (used on QO-100 for HamRadio) and some random LNB named “UHD 101 S” that actually came with the 60cm Dish. Both LNBs cost around 10$. @Tysonpower may I ask which settings you are using? I just got my dreamcatcher, but I can`t get a signal. @Fredrikson, @RadioHam could it be that the polish post code contains a “-” and the UK’s also letters? I had no issues with the othernet shop. Maybe because the german post codes only contain numbers like those in the US? 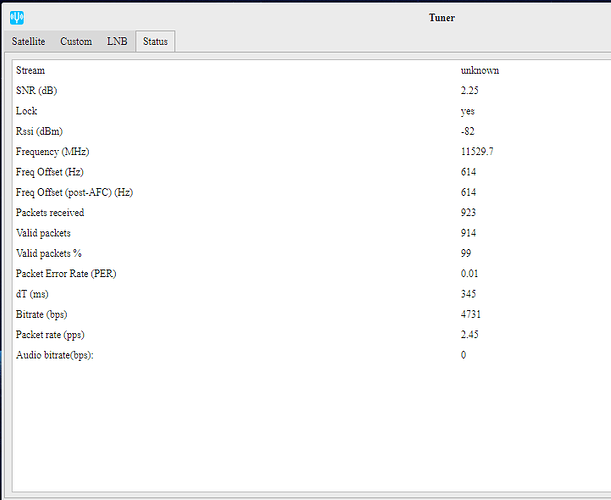 I use the frequency of 11.52970 ghz under the Custom Tab in the Tuner App. Then select custom under the satellite tab and click apply. 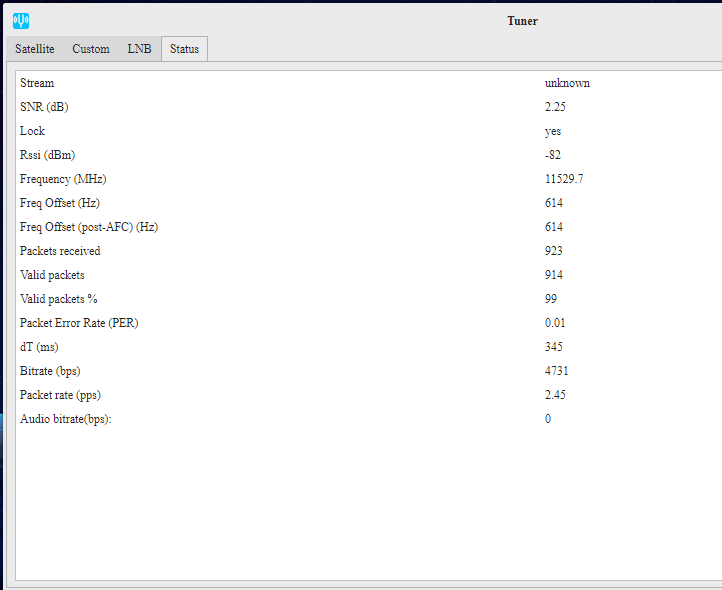 Then restart your DC and check if the correct sat and frequency is set in the Tuner App. It is because the only country options in the store are Canada, Cuba, Iran, Syria & United States and therefore we cannot get a shipping cost for UK and I assume Poland. Can the shop ship to the UK ? Is it looking for a UK distributor ? I’m sorry. That is strange, I just checked the form and also Germany is missing in the list. But I can’t remember having any difficulties ordering. Maybe it is possible getting your adress in the system using the express checkout via paypal? @Tysonpower Danke! It is now set on 11.52970 and beamtype 165. But still no signal. You mentioned you also had some trouble before getting a lock. Was there anything else you had to change? Could the quality of my antenna cable be an issue? mmm…nope didn’t change anything. Can you check in the log if the LNB is recognised? Do you have a clear view of the Sat? Also pointed right? Maybe play with the skew and pointing. 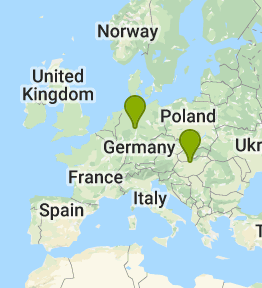 Where in Germany are you btw.? I have a clear view. And I am pointed according to the values from dishpointer.com. Also in the log everythin is OK. I just try changing the pointing a bit. Or I will try from another position on Sunday. I am located in a small village between Heidelberg and Heilbronn. @Martin We stopped accepting orders from European customers because of the problems with the signal. We’re manufacturing a new front end that can better track the narrower carrier. As I mentioned earlier, we may be pausing the SES4 for about a month until the new LNBs are available (and happy to provide you with a refund during that time). @RadioHam Strange. Those other countries are places we are legally prohibited from shipping to. It’s illegal for us to sell to anyone in those countries. I think it was an issue related to the settings, which was just now corrected. Normally there would be no issue with selling and shipping to you in the UK, but since the signal is very weak and we aren’t even broadcasting real data, orders from outside of the US/Canada are not yet allowed. The signal will also be put on pause while until we can offer an LNB with much tighter tolerance (in order to deal with the narrow carrier). If you really, really want a Dreamcatcher now, I’m happy to send you link, but I’m not sure it will be very interesting for you after next week. The reason for not allowing sales to Europe is because we need to replace the current LNB with something that has better stability. That is in the process of happening, but it does take some time to manufacture new equipment. Sorry about this. 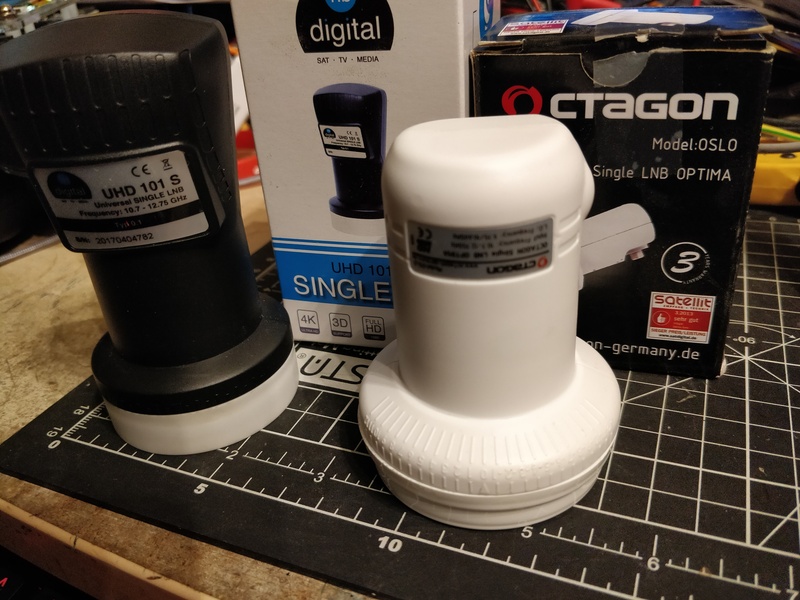 New LNB, and a new front-end?..So there’s going to be a DC 3.04/DC 4.0? 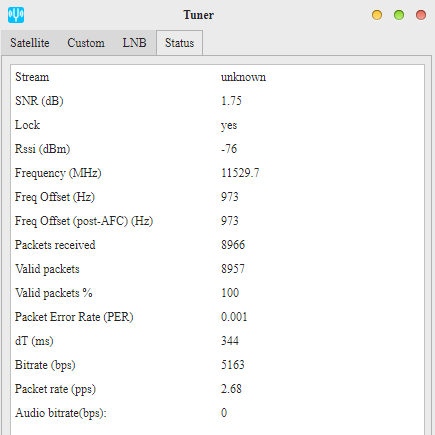 - Other than Inmarsat/SDR - what can I do with a 3.03 in the UK, if it’s not capable of dealing with the newer, narrower signal?